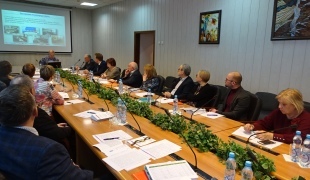 On April 16 – 18, 2019 an external review of the cluster of educational programmes «Public and Municipal Administration» (38.03.04, 38.04.04), «Personnel Management» (38.03.03, 38.04.03), «Management» (38.03.02, 38.04.02) delivered by Povolzhsky Institute of Management, branch of the Russian Presidential Academy of National Economy and Public Administration, was held. 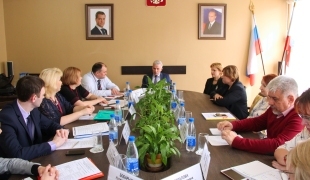 On April 16-18, 2019 a joint external review of the cluster of educational programmes «Pedagogical Education» (44.04.01), «Psychological and Pedagogical Education» (44.03.02, 44.04.02), further education programmes «Pedagogics and Psychology of Preschool Education», «Pedagogical Education: Elementary School Teacher» delivered by Kozma Minin Nizhny Novgorod State Pedagogical University was held. On December 11 – 13, 2018 an international external review of the cluster of educational programmes «Art of Folk Singing» (53.03.04), «Conducting» (53.03.05, 53.04.04), «Musicology and Applied Music» (53.03.06, 53.04.06), «Artistic Direction of Symphony Orchestra and Academic Choir» (53.05.02), «Music Sound Engineering» (53.05.03), «Music Studies» (53.05.05) delivered by Gnessins Russian Academy of Music was held. 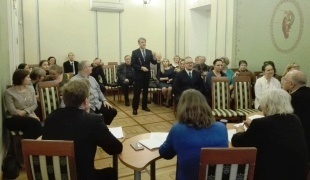 A regular meeting of the National Accreditation Board chaired by Viktor Bolotov, Academician of the Russian Academy of Education, was held on January 30, 2019 in Moscow. 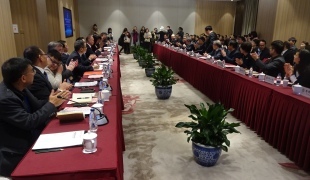 On December 4–6, 2018 a joint external review of two educational programmes "Plants Protection" and "Gardening" of China Agricultural University was held together with the Higher Education Evaluation Centre of the Ministry of Education, HEEC (China). 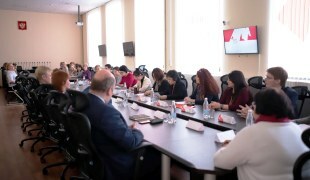 The Review Panels involved six Chinese and two Russian experts, representatives of leading Russian Universities (People’s Friendship University of Russia, Russian State Agrarian University - Moscow Timiryazev Agricultural Academy, Far Eastern Federal University, Saint Petersburg State Agrarian University).